Home » Perspectives Papers » Iran and the Taliban: A Tactical Alliance? EXECUTIVE SUMMARY: Iran and the Taliban have long had their ups and downs. In 1998, the two sides nearly came to a direct clash when Taliban forces killed Iranian diplomats, though the incident ended without a major conflict. 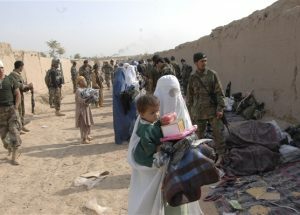 However, the 2001 US invasion of Afghanistan, the fear of a resurgent ISIS in Afghanistan, and water issues have prompted Tehran to ramp up its engagement with the Taliban. This tactical alliance will enable Iran to further expand its influence in Afghanistan.